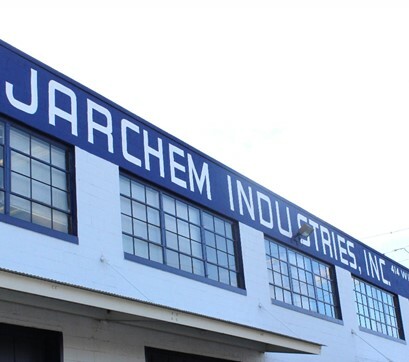 In the American way, JARCHEM® was founded in 1978 as a one product company, working from one small building in the industrial heartland of Newark, New Jersey. From its humble beginning, JARCHEM® has grown into a multi-million dollar chemical manufacturing and marketing company. In 1987, JARCHEM® acquired the Specialty Chemical Division of Fallek Chemical. This increased JARCHEM®’s ability to supply products with an agent and distribution system that spans the globe. Since then, JARCHEM® has created a long-standing reputation as a dependable supplier with excellent service and high quality products. JARCHEM® is a leading manufacturer and global supplier of unique specialty chemicals & natural materials. As a leader in the trend towards natural ingredients, JARCHEM® stays ahead of the curve by developing functional, consumer conscious and environmentally-friendly ingredients from plant, mineral and fermentation sources. With a strong focus on innovation and customer support, JARCHEM® also provides custom & confidential work to give clients and advantage in the marketplace. JARCHEM® innovative offerings include Specialty Butters & Oils, Natural Volcanic Clays, Alkyl Polyglucosides, Performance Surfactant Blends, Bio-Based Chelating Agents, Natural Actives, Plant-Based Alternatives, Oleochemicals, Inorganic Salts, Monomers and Polymers, and more.